A few days ago I advanced a theory on the bridge burnings in east Tennessee as being an impetus behind the formation of the Mitchell Rangers. I spent some time at the library reading through North Carolina newspapers trying to find a public reaction to the event. I found almost none, mostly just reprints from out of state newspapers. The burning of the railroad bridges in east Tennessee was the idea of Rev. William B. Carter, a Tennessee native. Carter took the idea to the commanding generals in Kentucky, including Sherman and Thomas, and then on to Washington, where he received the blessings of McClellan, Cameron, and Lincoln. Carter then returned to Kentucky, and then east Tennessee. The idea was to organize small bands of east Tennessee loyalists into groups that would burn nine railroad bridges between Bristol, on the Virginia-Tennessee line, to Bridgeport, Alabama. Then, a Federal force would march to Knoxville and capture the city and gain control of the railroad, a vital link between Virginia and the deep South. November 8, 1861, was the date set for the attacks. Just hours before the attack, Gen. William T. Sherman, whose support for the operation had been tenuous, pulled his support and ordered General Thomas not to advance. Of course, word could not be sent to Carter and his bridge burners. They proceeded to destroy five of their nine targets. Unaware that the Federal soldiers had abandoned them, large numbers of loyalists turned out in different counties. At Elizabethton, not too terribly far from Mitchell County, an estimated 1,000 loyalists gathered, organized themselves into companies, elected officers, and stockpiled supplies. Confederate re-enforcements quickly arrived and the loyalist bands dispersed. Several of the actual bridge burners were arrested, tried, and hanged. On November 18, 1861, North Carolina Governor Henry T. Clark sent a note to Secretary of War J. P. Benjamin, stating that he had two regiments on hand that were asking to be sent to the area to protect their own families. One of those regiments was the 29th North Carolina Troops, under the command of Col. Robert B. Vance. As far as North Carolina reaction, there was an article in the newspaper from Asheville, stating that Confederate forces in east Tennessee had driven 500 (or 1,000) loyalists out of Tennessee and into Madison County, North Carolina. The folks in Asheville were obviously concerned, even though the loyalist figures were greatly exaggerated. So, while I have no hard proof that the Mitchell Rangers were organized as a direct response to the bridge burning episode, I do think that there is a substantial circumstantial case. I really enjoy being a writer. Yesterday, I left out about 9:30 am, onmy way to the Caldwell Historical Museum in Lenoir. I had to sign booksfor a group of teachers (the Broyhill Scholars) who were touring themuseum. I then had a wonderful lunch with them before darting off toWilkesboro. In Wilkesboro, I spent three hours going through the papersof the Lenoir family. I was particularly interested in the letters anddiary of Walter W. Lenior. Walter was an unofficial member of the 25thNorth Carolina and then helped recruit a company for Vance's Legion. After the Legion failed, that company joined the 58th North CarolinaTroops. However, right before the regiment's organization, Walter waselected lieutenant, then captain, of Company A, 37th North CarolinaTroops. Six weeks later, Walter lost a leg at Ox Hill. The diary that heleft behind is a important piece of North Carolina history. After three hours in Wilkesboro, I went to Boone and ASU to do alittle research. I wanted to know just what North Carolina's opinion was regarding the east Tennessee bridge burnings. The conclusion I reached after two hours of reading microfilm was not what I had hoped: not much reaction by the press (save Asheville) whatsoever. I got home last night a little after 8:30. The only downside to anotherwise great day doing what I love: with drive time, I logged in 11 hours yesterday. But some days are like that, and it's great to do whatI love, even for longs days! Ok - question of the day. 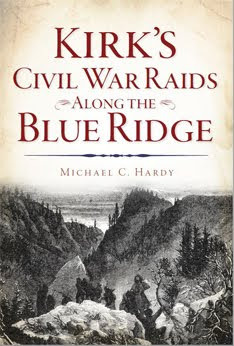 Did the bridge burnings in east Tennessee have a direct influence on the formation of the Mitchell Rangers? The bridge burnings, one as close as Carter County, Tennessee, disrupted an important link between the deep South and Virginia. These burnings were led by local (east Tennessee) men in mid-November 1861. Six weeks later, the Mitchell Rangers were formed, with the mission of providing protection to the Toe River Valley area. 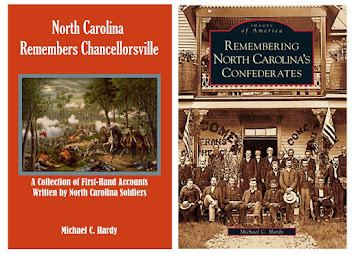 The Mitchell Rangers would become Company A, 58th North Carolina Troops. The 58th NC, after its formation, was sent to east Tennessee (August 1862-September 1863) to help garrison the highly pro-Union area. Good morning folks! - I found the below story on my morning internet hunt. It was found on a TV station’s web site in Minnesota. A Civil War enthusiast has identified the remains of three soldiers buried in Raleigh - including one Minnesota Yankee resting among Confederates. Charles Purser spent thousands of hours scrutinizing hospital logs, regimental rosters and cemetery records to put names to the headstones at the Oakwood cemetery in RALEIGH, North Carolina. He recently identified Drury Scruggs, who marched to the Civil War from his home in North Carolina's mountains and later died at Gettysburg. There's also William P. Wallace, a farm boy from Montgomery County. Both had been resting under anonymous headstones. Purser also spent time working with New York-based historian Glen Hayes. Comparing notes, the researchers decided that John O. Dobson from North Carolina didn't exist. They agreed that John O. Dolson - a Yankee from Minnesota - had been shipped to Raleigh in his place. Purser, 67, plans to hold a ceremony in September to honor the three soldiers with new headstones. "It's three American soldiers getting their identity," Purser said. "That's what tickles me." Purser, an Air Force veteran and retired postal carrier living in Garner, first helped rescue the Confederate cemetery from neglect in the early 1980s. He now has names for all but five of those buried at Oakwood, save 14 unknowns in a mass grave. Last week was another busy week. I had book signings in High Point (Tuesday) and Albermarle (Thursday). Wednesday was a research day. This past Saturday, I had the distinct privilege of leading a group of people on a tour of Civil War-related sites in Asheville/Buncombe County. We started out at the Vance Birthplace near Weaverville. It is a beautiful place with several restored cabins. If you are in the area and get a chance, please visit. After a picnic at the Birthplace, we headed to the campus of UNC - Asheville. We visited the breastworks used on April 6, 1865, to ward off an attack by the 101st Ohio Infantry. y a trip to Riverside Cemetery to visit the graves of Gov. Zebulon B. Vance, Brig. Gen. Robert B. Vance, Brig. Gen. Joseph G. Martin, Brig. Gen. Thomas L. Clingman, and Col. Stephen Lee 916th NCT), along with many others. Finally, a few of us visited Newton Academy Cemetery. There are 29 unknown Confederates buried here, along with five Federals who died during the reconstruction days. There is a monument to the Confederate soldiers dedicated by the UDC in 1903. This week is almost as busy. I’ll be speaking tomorrow night in Lancaster, South Carolina, and Thursday night in Mt. Pleasant, North Carolina. I’m going to try and sneak in some more research time also. The picture above in the 1903 Confederate monument in Newton Academy Cemetery in Asheville. 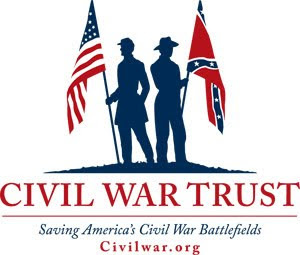 The Civil War Trails signs meeting last Thursday went well. The money for two markers has been appropriated, and we put together a small committee to finalize which two markers we would like to erect. I’ve been a fan of the Civil War Trail Markers program for some time, even though at times when traveling, those signs in Virginia with arrows get me terribly confused. I end up following those signs and get totally confused as to where I am. Thankfully, those confused days are usually free days, and I really don’t mind. There are already markers in Wilkes, Caldwell, and Yancey Counties here in the western part of the state, and I look forward to Avery County joining the group. Has anyone thought of making Stoneman’s Raid a tour? 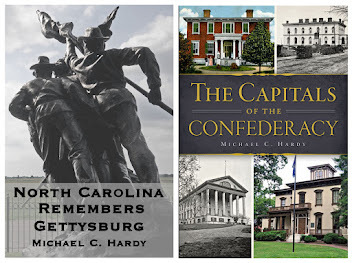 Thanks to the Civil War Interactive web page for the mention of this blog. First, the site of Colonel John B. Palmer’s (58th NCT) house. The home was burnt by Kirk’s raiders in June 1864. This is also the site of Camp Martin, where portions of the 58th North Carolina Troops were mustered into service, possibly even trained. Second, a marker on Keith and Malinda Blalock. While their graves are accessible, there is no good place to park. I am thinking about Grandfather Mountain for this marker. The Blalocks hid out on Grandfather, and their underground railroad ran across the northern portion of the mountain. Third, a marker in Cranberry dealing with the Cranberry Iron Ore deposits. This site employed a couple dozen men during the war. The iron was transported via wagon to Morganton. Some was taken to Asheville to be used by the Asheville Armory. Fourth, a marker in Banner Elk, where the escaped Salisbury POWs and other dissidents arrived, often under the care of the Blalocks. Usually, one of the other scouts met them (like Dan Ellis), and they continued on their journey to Kentucky and Tennessee. That second meeting begins a hour after the first and involves the Avery Heritage Council. The markers are one of the items on the agenda. The article about Vance’s Legion is shaping up. I’ll post more information soon. The primary source material from the Civil War that continues to surface never ceases to amaze me. It also makes me wonder what else like it remains out there, unknown and languishing…. He goes on to detail the mostly unpublished materials of Pennock Huey, a federal cavalry officer. That has led me to this line of thinking for aspiring authors. 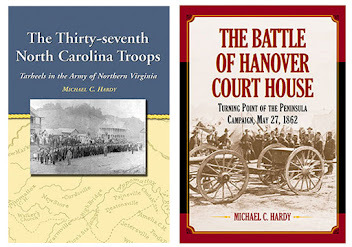 Michael C. Hardy's The Thirty-seventh North Carolina Troops: Tar Heels in the Army of Northern Virginia (McFarland & Company, Jefferson, N.C., 2003, $45) mines such hidden riches in gratifying detail. 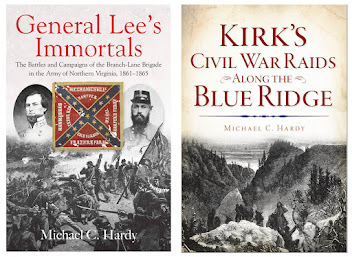 The author unearthed dozens of accounts, from a wide range of locations, by the soldiers in a regiment that fought steadily at center stage throughout America's Civil War. He also constructed a first-rate roster of the 37th by scouting cemeteries, digging out obituaries and tracking down descendants. Finding those primary sources is an uphill battle. 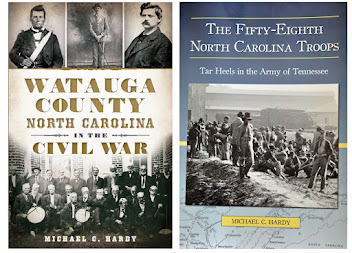 As most of you know, I’ve been working on a regimental history of the 58th North Carolina. They were one of just four North Carolina Infantry regiments that fought with the Army of Tennessee. While I have been collecting information for the past ten years, the real hunt has been on for the past couple of months. This hunt has led me to read/browse dozens of family histories and county heritage books for the little details that I want to make the project as complete as possible. Also, I’ve started to post the names of the hundreds of men who served in the 58th North Carolina on online family discussion groups. This gives me access to an untold amount of materials, like photographs, documents, and stories, that are not in books or public repositories. 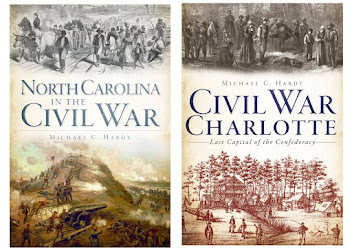 I once got an email from someone writing a book on a particular North Carolina regiment - a project that I myself had hoped to eventually undertake. This author has written several books on the war, most of which have not garnered positive reviews. I prepared a list of sources and dissertations and people to contact in response to this author’s request for information. This author basically responded, "I do not have time to go through all of this material." Instead, this author is willing to write a book with only a few easily accessible sources. Why bother writing something about the war if you are not willing to go through every possible source or at least make the effort to find material? This is not to say that my research methods are perfect, but I do make the effort to run down as much information as I can to give readers and scholars the most complete text possible. The sad thing is that no publisher will be willing to tackle a new history of this regiment for quite some time, and readers and scholars will be stuck with a less-than-thorough resource. My advice - go through everything: archives, newspapers, family histories, county histories, everything. And even when you think that you have been through it all, there will be items that have been missed. As historians, we have a responsibility to leave behind us the best tools possible for others. What a great weekend. The Avery County Heritage Festival was good. I had a chance to talk to quite a few people about the old 58th NCT. On Sunday, we went to the reenactment in Jonesville, Virginia. The local SCV Camp - the Wise County Rangers (I think), had a booth set up and I went to ask about one of my Wise County relatives. (Louis Roberts, Co. B, 7th Battalion, Confederate Cavalry). The gentleman manning the both was Allen Thomas, a descendant of men who had fought in both the 37th NCT and the 58th NCT. It was nice to have a few minutes to talk to Mr. Thomas about well known places. I’ve not had a chance to work on article about Vance’s Legion since I last posted. Today, I am working on proposals for Civil War Trail Marker signs in Avery County. This evening, I’m speaking with the SCV Camp in Yadkinville. Well folks, another busy weekend is upon us. I’ll be at the Avery County Heritage Festival tomorrow. The festival is being held in Crossnore this year, about a mile and a half from where I live. Then on Sunday, I’m off to the reenactment in Jonesville, Virginia. For the past couple of days, I’ve been researching Vance’s Legion. It’s not easy researching a organization that never really existed. Parts of the Legion became companies E and H of the 58th North Carolina Troops. Another group became Company A, 4th North Carolina Cavalry. Has anyone ever come across any other company that was a part of Vance’s Legion?